This website page is here to celebrate the life of James Brownhill and to promote the ways in which we commemorate him and raise funds for the ‘James Brownhill Memorial Fund’. 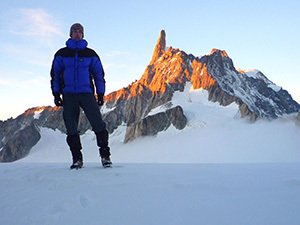 This fund has been set up by James’ family following his death on 1st July 2011, on the Frendo spur, Chamonix, France. The JBMF currently provides 12 bursaries a year. The 2nd way of obtaining a bursary is via the Additional bursaries option where University climbing clubs, through the purchase of JBMF Christmas and Greetings cards can earn a bursary. Established Mountain Climbing Insurance policies are being sold via an existing and established specialist broker on behalf of the JBMF, and all commission earned is being donated to the JBMF. This will allow more bursaries to be provided. The fund aims to encourage and foster a higher level of safety, good practice and sustainability within university climbing clubs. James reveled within the wider community of climbing. He shared much happiness with those he met in the Peak District and regular trips to Chamonix; always encouraging people to embrace the challenges of climbing. His consistent passion for climbing led to involvement with his university club, an opportunity to share enthusiasm, skills and knowledge with like minded individuals. James will be greatly missed, but through this fund we hope to preserve a passion and attitude to safe climbing that James constantly upheld. We value and appreciate your support in enabling this to happen and feel James would approve. This Fund has been set up by James Brownhill's family following James' death on the Frendo Spur in the French Alps, above Chamonix. 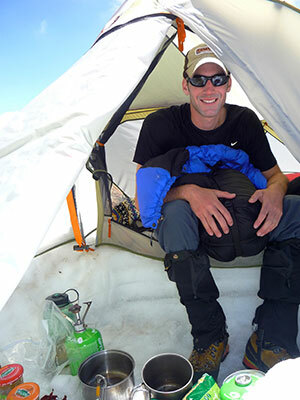 James was an avid climber and mountaineer, he constantly strove to improve his skills and abilities, helping him progress into many areas and disciplines of the climbing world. James' passion for the mountains started with the Peak District where he grew up and spent much of his outdoor life. His journey began with walking and trekking, an apprenticeship that gave him a broad and steady outlook of the mountain environment. By 17 James had begun to cycle out to many famous bouldering crags in the Peak District, slowly learning the techniques to climb on his beloved gritstone. At 18, a winter trip to Scotland and a place on the Jonathan Conville course in Chamonix, provided the next step; a determined progression into alpine climbing. These trips became the fuel for the idea of pursuing mountains in the Andes of South America. James prepared for the trip of a lifetime that brought about 4 months of trekking, bouldering, sport climbing and mountaineering, culminating in reaching above 6000m, twice. He always ensured there was a climbing trip or two each year, with trips to Bavaria, Fontainbleu and different areas of the UK always on the agenda. His experience was gained quickly, but the quality of learning was reflected in the hours he put into his passion. From the first time in Chamonix he went a further 3 times, constantly learning, assessing and enjoying true alpine climbing. 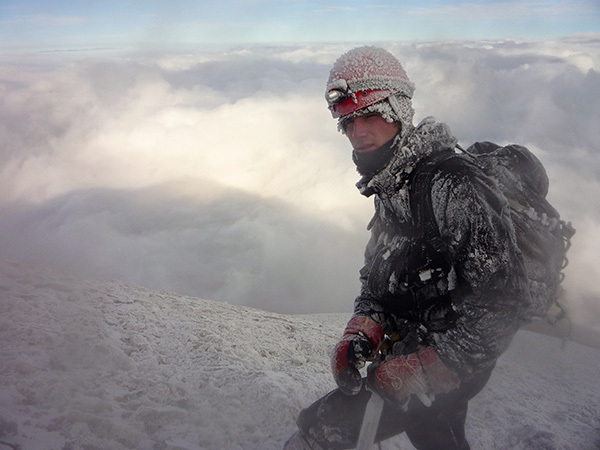 James was part of a major rescue in the French Alps in 2010, the safety of the climber who fell was greatly increased by James' quick and selfless actions at nearly 4000m. James had dreams of the greater ranges, of going back to the Andes, up into the Himalaya and the 7 summits of the world. He understood the importance of preparation, getting out on traditional climbing, bouldering and big mountain days whenever he possibly could. He had a thirst for life that will be greatly missed, he was a safe and caring member of the climbing community, something we want every climber to become. James voluntarily taught inexperienced climbers in his university climbing club, just as many other university climbing club members do every year. Those in a position of responsibility should always ensure they have the safest knowledge so they aren't teaching bad practice. However, this is very difficult to verify and regulate. The bursaries are there to help create a reliable point of reference for all those voluntarily teaching at university. If one person in the climbing club is able to become correctly trained others around them can ensure what they are teaching to is the best and safest practice. James' family want you to be able to access this knowledge and pass it on, so the fund provides these bursaries to help you do this. James' family have established a number of ways to generate some regular income for the memorial fund. One of those is through the sale of packs of Christmas & Greetings cards and the other is through selling climbing insurance. The insurance policy being sold is one of the mountaineering policies already on the market and that you would normally buy, but as a result of buying it through this website the commission, paid by the policy provider, will go directly to James' fund. Please consider buying insurance through us next time you're planning a trip. The JBMF isn't an insurance company, its just another route to buying it. James was passionate about many things in life which included Rock Climbing, Mountaineering, Skydiving, Field hockey, and his Physiotherapy course. During the development of the Logo it was very important to James' family that, in addition to climbing, his dedication to skydiving and hockey was displayed in the design. All of these pursuits played a big part in shaping the man we all love and remember. For an application form visit www.pyb.co.uk/brownhill. The Mountain Training Trust (MTT) was established in 1996 by the British Mountaineering Council, Mountain Leader Training UK and Mountain Leader Training England. The Trust is a ‘not for profit’ company and is a registered charity established for the advancement of the public benefit of education, training and skills for the conduct of safe mountain walking, canoeing, climbing, mountain biking, orienteering, skiing and other outdoor recreation generally practiced in mountain environments. The Trust has a Board of Voluntary Directors who include the senior post holders in the above organisations; in addition, the senior employees of the above bodies act as advisors. MTT was awarded the contract to manage Plas y Brenin on behalf of Sport England in 1997. The current contract extends until 2026. The principal business activity of the Mountain Training Trust is the delivery of high quality outdoor adventure training in a range of leadership and coach education qualifications and in sporting development for individuals. MTT runs, through Plas y Brenin, a comprehensive programme of courses in Wales, Scotland and in the Alps. The courses cover all levels of qualifications in Mountaineering, Paddlesport, Orienteering and Mountain Biking. MTT manages a number of development projects and charitable programmes. In particular MTT manages a number of memorial bursaries and trusts which enable subsidised training opportunities to be taken on outdoor activities for young people or volunteers. Following the tragic death of James in July 2011 the family approached MTT to establish a memorial fund which would provide a positive ongoing memorial to their son. It was decided that provision of bursaries to university mountaineering clubs activists would encourage like minded young people to pursue mountaineering as safely as possible. The courses delivered by Plasy Brenin in North Wales and at CCG centres include, Mountain Leader Award, Single Pitch Award, Climbing Wall Award, Climbing Wall Leading Award courses. The Brownhill family is using a variety of fundraising mechanisms to route £2,000 per year as a minimum to support bursaries which will be available via applications to the James Brownhill Memorial Fund. For an application form visit www.pyb.co.uk/brownhill. Greater priority will be given to first and second year students who have more opportunity to pass on their knowledge over their coming years at university. An ‘Additional Bursary’ requires the Climbing Club members & their family and friends to buy JBMF Christmas OR Greetings card packs (£5 pack) equal to 50% of the course cost. This reduces the cost of the course to a few packs per club member. For an ADDITIONAL bursary also apply via The Mountain Training Trust (MTT), the JBMF will match the proceeds so you don’t have to use club funds. Application form is available here, specifying which bursary is applied for. CWA (Assessment) Course Cost £105 - Need to buy 10 pack (£50). CWLA (Training & Assess) Course Cost £105 - Need to buy 10 packs (£50). Event details are available on the Facebook page. Thank you to everyone who has contributed to and supported the fund in a wide variety ways. We know James lives in ALL your hearts. The-Insurance-Surgery.co.uk is pleased to support The James Brownhill Memorial Fund. Any commission received from the links to Mountain Climbing and travel insurance bought through the ‘Insurance Surgery’ will be donated to the fund. Based in the heart of Sheffield, they are now established as one of the UK's leading canvas printing companies. We can print your picture on a stretched canvas. Fill your house with memories or treat a loved one with a truly thoughtful gift. Forever Canvas Ltd want to contribute to the fund raising efforts of the JBMF by allowing the JBMF to offer a 40% discount on their retail prices AND make a 10% contribution of the retail price to the JBMF. These prices are very close to the offers from the likes of Groupon / Living Social, etc, but you can have them whenever you want and for a greater range of sizes. You choose your canvas size. You choose if you want your own photo, one from the gallery of “Forever Canvas” OR a JBMF photo. Let the JBMF know (JBMFund@gmail.com) what you want to do and leave the rest to the JBMF. Voted by supporters of the JBMF. Direct donations can be enhanced substantially via a ‘Payroll Giving’ option available to James family. Donations can be made through the JBMF Just Giving Page. To continue our fundraising for the JBMF we would like to ask if you are going to buy either Christmas or Greetings cards to consider including some of the cards we have produced from photos taken by James & Joe, Tom & Gary. A mixed pack of 6 2014 Christmas cards is £2.50 & mixed Greetings cards is £4 a pack. The cards can be viewed here and here. The profits from the proceeds will go into the JBMF. Please place your order, including your address, via e-mail (jbmfund@gmail.com) and make your payment via the Bank Account (Sort 40-47-86, Account no. 05570050) for the JBMF using your name as reference. We will then deliver them to you; without charge if possible if you know you are likely to see us. Many things have been carried out by James’ friends and family, to remember James and keep James’ name alive. The complete list of events and the number of people involved can be seen on the facebook link to this site. There are six permanent memorials which will continue for the foreseeable future or be in place for many years. This award was initiated by the course leader & tutors in recognition of James' contribution to the course overall and his particular strengths in clinical application. The winner is the individual who achieves the highest marks on their placements in the hospitals where the practical training takes place. The award was initiated by David & James' friends and was approved by all the MMU societies & clubs to recognise their popularity and the activity & contribution each of them made to their respective clubs. Skydiving & Hockey (James) and Canoe (David) and the mountaineering club for both. The winner is recognised for their outstanding encouragement to the development of clubs within student activities, has been a valuable and passionate member of a club and made a contribution to student activities as a whole. James' friends and work colleagues at Decathlon, where he worked for several years whilst not involved in school & university life, wanted to recognise how much James meant to them by providing and placing a plaque in the store where he worked. Decathlon itself has made several valuable and generous contributions and acts of support since July 1st 2011 to support the memory of James and the JBMF and have given permission for the plaque to be placed in public within the store. Please feel free to visit the store and see the plaque in the Sheffield store situated near the exit. As part of the acts of remembrance for James & David, on the anniversary of their accident, the two families placed a joint plaque to commemorate James & David's friendship. It includes a photo of them climbing on the Mont Blanc massif in the days before their accident. The plaque is on a wall dedicated to people who have lost their lives on the Mont Blanc Massif in pursuit of their passion of being in the mountains and enjoying the beauty and magnificence of the snow, ice and rock faces. The plaque is in the general cemetery in Chamonix on a wall 10 metres on the right hand side as you enter the main entrance of the cemetery. It is metres away from a memorial to Charles Whymper; the great alpinist - good company! 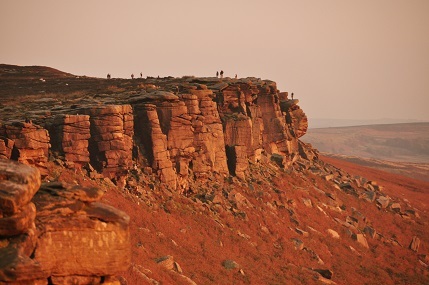 James family have created the walk to be a permanent memorial to James' memory & name and it starts and finishes at his precious Stanage Edge where he loved to climb and boulder with his brother Joe and their friends. It is 1 mile for each year of his life and so it’s 22 ¾ miles long. The inaugural completion was on Sept 29th 2012 which is 1 day before his & Joe’s birthday. Maps and further details are now available on Facebook. Shorter sections will also be created to allow round & linear walks of varying lengths so it can be tackled in stages. Maps & walking notes for the complete walk and the shorter stages will be made available on the facebook page linked to this website. Please feel free to do whatever parts of it that you wish and let us know when you have done them (jbmfund@gmail.com) and we will keep and display a note of your support. The Sheffield Hockey club, where James and Joe played for almost 10 years, have organised an annual hockey tournament allowing all members of the club, many who never met James, to remember James and provide support to the Brownhills; the family spent many happy hours at the club and games over the years. In recognition of this support and to use the JBMF monies in a way which gives something back to James’ interests, the JBMF has provided funding to pay for a 1st international goalkeeper to provide coaching to the keepers in the club. Is lifted to the heights. This poem was written for James by our very good friend Hilary Fawcett. She quietly showed it to us amongst a collection of poems she had found for us in the initial days after the accident when we were searching for a suitable poem for James’ funeral. It was untitled and anonymous so we had no idea Hilary had written it. Out of all the poetry we looked at, it best described to us the draw of the mountains for James and also his awareness of the potential danger. Yet he still chose to climb and we must all respect that. Who Benefits From The JBMF? £2,500 a year to provide 12 bursaries to University climbing club voluntary leaders in the UK & overseas each year. Testimonials and list of the Uni's which have received a bursary. £1,200 a year to meet the medication costs of treating the people rescued by Edale Mountain Rescue in the Peak District. £130 a year to meet the 1st year's Health Professional registration fees of the winner of the James Brownhill Memorial Award for Clinical Excellence; created and awarded by Manchester Metropolitan University, where he qualified, in memory of James. £250 a year to meet the costs of providing a coaching session, by an international hockey goalkeeper, to other goalkeepers at Abbeydale Hockey Club, where James was a goalkeeper for many years. The JBMF also liaises with Decathlon for £50 of Decathlon vouchers to be donated by their stores in Sheffield & Stockport to be presented to the winner of the Manchester Metropolitan University Student's Union Brownhill-Evans Award.